What is an XLR connector? 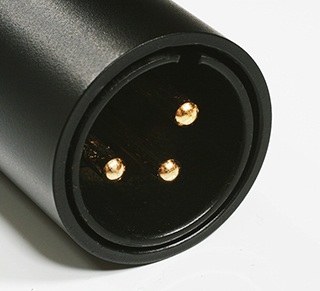 An XLR connector is a type of connector mainly found in professional audio although it is also used for stage lighting applications. By far the most common type of XLR connector is the 3-pin type. This, over time, has become the industry stand connector for carrying balanced audio signals. (For more information on balanced cables, see here). You’ll find a Male XLR connector typically attached to an item that is sending a signal. An example of this would be a microphone. A Female XLR is typically used where a signal is being received, for example, the inputs on a mixing desk. 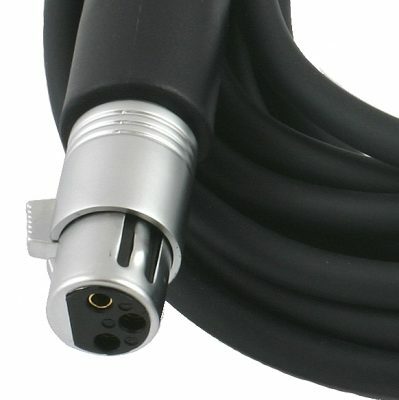 So, in our example, you would need an XLR-XLR cable with a Male Connector on one end and female connector on the other end to be able to attach the microphone to the mixing desk. (The female connector on the cable connects to the male connector on the mic and the male connector on the cable connects to the female input on the desk). XLR connectors can vary greatly in quality. We use only the very best components in building XLR connectors into all our products at Red5.